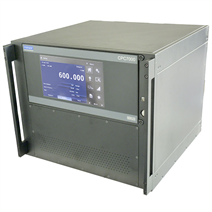 The CPC7000 pneumatic high-pressure controller always provides a suitable calibration solution on account of its accuracy class. Its outstanding control performance is particularly impressive thanks to special valve technology and the high-accuracy pressure sensor as a measuring unit. With this the controller is suitable as a factory or working standard for the testing or calibration of any type of pressure measuring instrument. 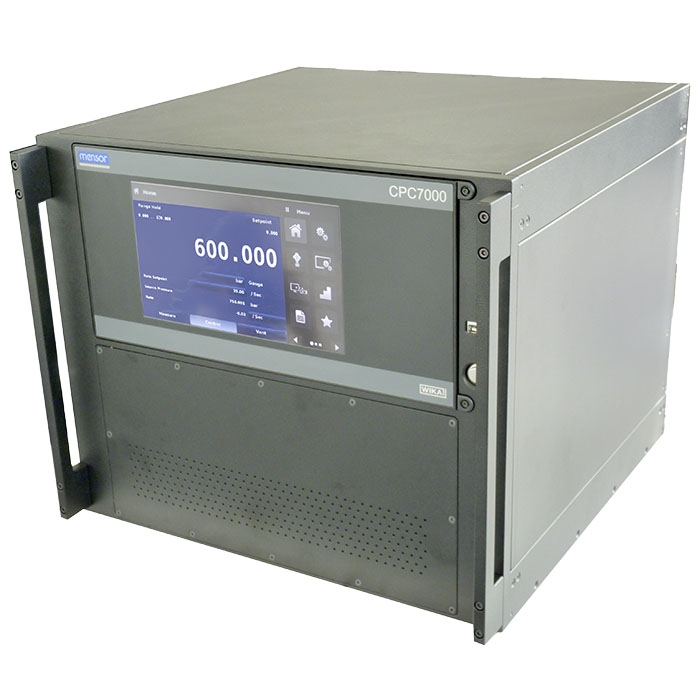 The CPC7000 is available as a desktop instrument or as a 19" rack-mounting kit. The sensors can be changed via the front, without having to take out the complete controller, e.g. out of a calibration rig (plug-and-play). The touchscreen, through its intuitive user interface, delivers ease of use. The large number of menu languages adds to its user friendliness. In addition to specifying a specific pressure set point, either by entering it via touchscreen or sending it via remote interface, the pressure can be changed in defined, programmable steps by using the STEP buttons. Moreover, the user can also easily create extensive test programs using the instrument menu. Depending on the application, the control rate can be set as a user-defined variable rate. The WIKA-CAL calibration software enables the convenient calibration of pressure measuring instruments and the generation of test certificates. Additionally, the instrument can also be remotely controlled using the serial command formats, the Mensor standard, SCPI or further optional command sets are available.